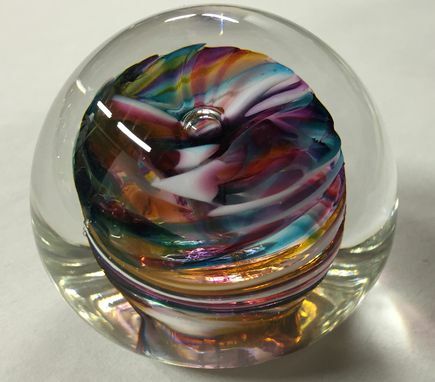 I create handmade glass paperweights by gathering and shaping hot molten glass with colorful accents. 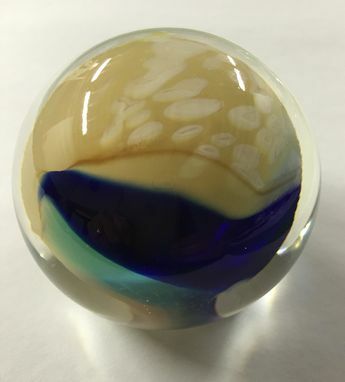 The paperweights can be made in a variety of colors and can be shaped as spheres, eggs, cubes, or rectangular blocks. 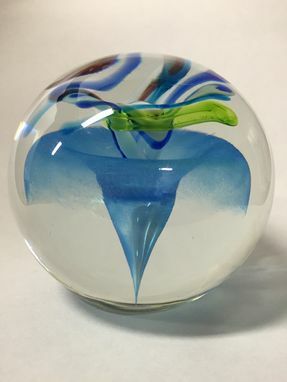 These paperweights add beautiful colorful accents to desktops and tables and make unique gifts for family, friends, and clients. Custom options include color, shape, and size.